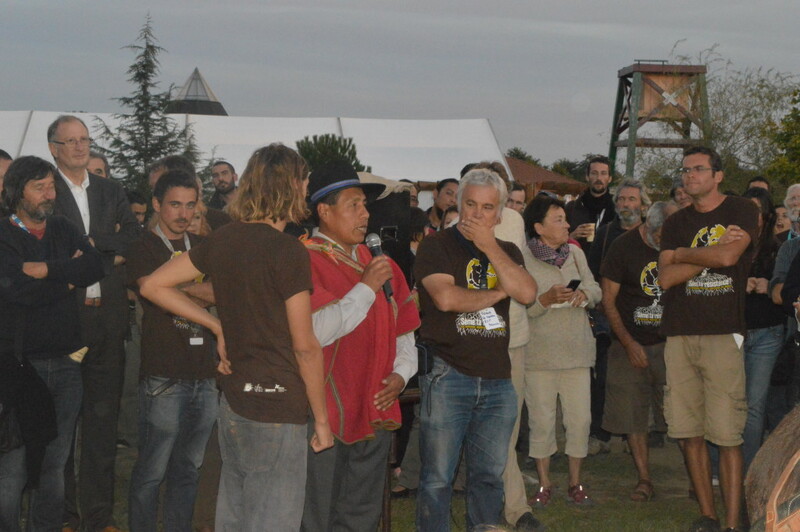 On 24th-26th of September 2015, Eco Ruralis association participated in “Sow your resistance!” an international event in Lescar-Pau, France, which celebrated peasant seeds from all around the world. This event gathered more than 400 people from civil society movements and local NGO’s from Europe, Africa, South America and Asia. Participants to the “Sow your resistance!” event. Photo by Paula Dragomir, Eco Ruralis. 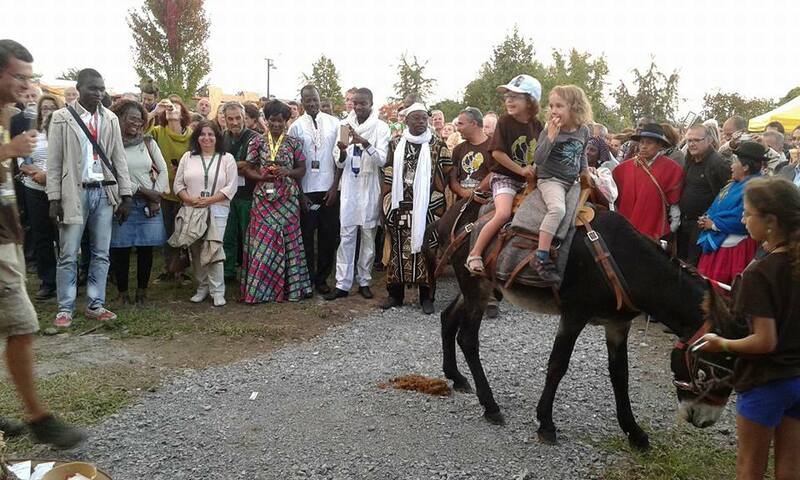 The event was co-organized by the Emmaus community of Lescar-Pau, the French network of peasant seeds Réseau Semences Paysannes and the French NGO for agricultural and social projects BEDE. The innovating, semi-autonomous village of Lescar-Pau – which produces 60% of the food needed by its 140 inhabitants – an extraordinary settlement and inspiring location for conceiving a different and better world. The various participants were involved in discussions, workshops, visits and debates. – Ensuring public control of the quality and marketing of seed, independent of the seed and agro-chemical industry. Discussions during the “Sow your resistance!” event. Photo by Paula Dragomir, Eco Ruralis. From the start, it was clear that all the participants had very diverse experiences, and yet all together we were had much in common in our thoughts about the future of peasant seeds. The first presentations made us realize how much peasant seeds are facing dramatic situations all around the globe. Besides of being neglected by national policies and other European or international policies, peasant seeds are being threatened by multinational companies that want to make them disappear in order to impose an agriculture that is dependent on expensive and unsustainable external inputs. Moreover it appears clear that these companies also attack certain centers of origin of crops, such as Mexico from where maize comes, or Iran from which many wheat varieties come. Through the contamination of local varieties with genetically modified organisms (GMO’s), these companies manage to affect highly important places for the history of human civilization and of agriculture. 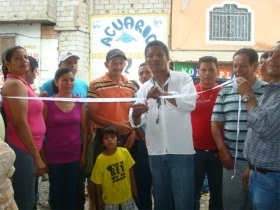 Inauguration of the Seeds House – Maison de semences – from Lescar Pau. Photo by Vali Cucu, Eco Ruralis. Nonetheless, many participants gave us hope through their local initiatives and through their own ideas. Alvaro from Red en Defensa del maiz – CENAMI – from Mexico, said that “there should be as many solutions as they are crop varieties in the world” in order to reestablish a better situation for peasant seeds. As an example of the different solutions possible, a participant from Chile explained how thanks to her NGO – Chile Sustentable – people managed to create a protected reserve for peasant seeds in their country. Another successful example was given by a group of French people that call themselves GMO Reapers (Faucheurs d’OGM). 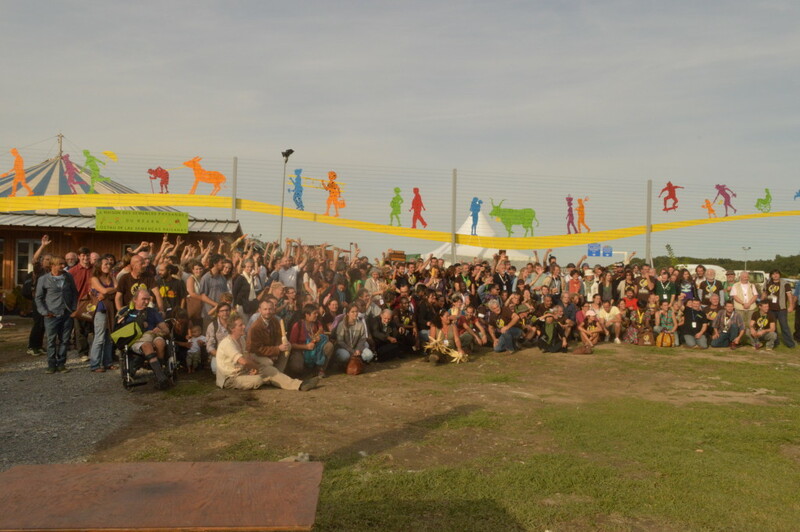 This group of people was acclaimed by the assembly of participants for their bravery and direct actions against GMO’s. Finally, through the workshops and discussions, we could understand that it is essential to focus on local solutions in order to have a better impact on the situation of peasant seeds. 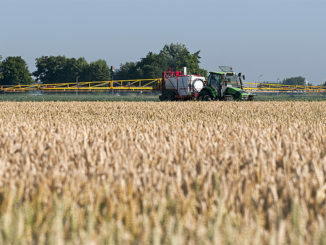 Discussions emphasised the idea that local groups that fight for the conservation of crop agrobiodiversity should join forces with local research institutes and gene banks, in order to create national networks of peasant seeds savers with common objectives and with stronger voices that can be heard abroad. Moreover, the event from Lescar-Pau was a great occasion to impulse the European network of peasant seed savers, called “Let’s Liberate Diversity”. 9 associations, members of the Coordination Committee, present at the event, had a strategy meeting. The discussions focused mostly on the immediate needs of the network, that would provide a boost for the solidarity work on seeds, around Europe. One of the strengths of the network is the diversity of the member groups, related to culture, language, agricultural practices, believes and ideologies. 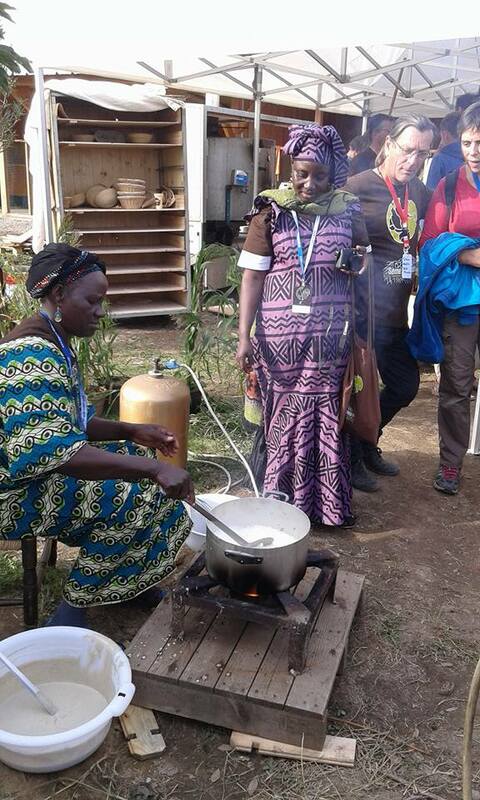 Atelier on cooking with sorghum flower. Photo by Vali Cucu, Eco Ruralis. All in all, this event was a great opportunity for Eco Ruralis to spotlight the situation of peasant seeds in Romania and to exchange ideas with many participants about the future of preserving crop agrobiodiversity. Finally, this event also allowed us to create new bounds and to exchange peasant seeds and knowledge, which is a precious reward for us. Together, we need to act as a strong unified voice at the international level. “Sow Your Resistance” took the civil society a step closer to achieving it’s demands. SCAR Report and Sustainable Bioeconomy – a question of principles?